The rapidity of postwar globalization and the structural changes it has brought to both social and spatial aspects of everyday life has meant, in France as elsewhere, the destabilizing of senses of place, identity, and belonging, as once familiar, local environments are increasingly de-localized and made porous to global trends and planetary preoccupations. 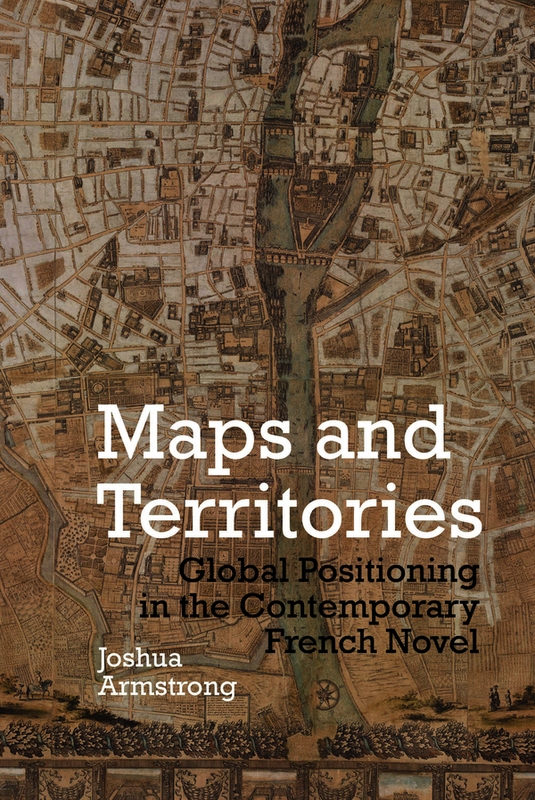 Maps and Territories identifies such preoccupations as a fundamental underlying impetus for the contemporary French novel. Indeed, like France itself, the protagonists of its best fiction are constantly called upon to renegotiate their identity in order to maintain any sense of belonging within the troubled territories they call home. Maps and Territories reads today’s French novel for how it re-maps such territories, and for how it positions its protagonists vis-à-vis the pressures of globalization, uncovering previously unseen affinities amongst, and offering fresh readings of—and offering exciting new perspectives on—a diverse set of authors: namely, Michel Houellebecq, Chloé Delaume, Lydie Salvayre, Jean-Philippe Toussaint, Virginie Despentes, Philippe Vasset, Jean Rolin, and Marie Darrieussecq. In the process, it sets the literary works into dialogue with a range of today’s most influential theorists of postmodernity and globalization, including Paul Virilio, Marc Augé, Peter Sloterdijk, Bruno Latour, Fredric Jameson, Edward Casey, David Harvey, and Ursula K. Heise.